Explore and create amazing Mandelbrot, Julia, and Inverse Mandelbrot fractals using a new coloring algorithm called SAM (the Stripe Average Method) as seen in the screenshots. You can also choose from traditional colorings such as LSM, Smooth LSM, LSM Log, CPM among others. 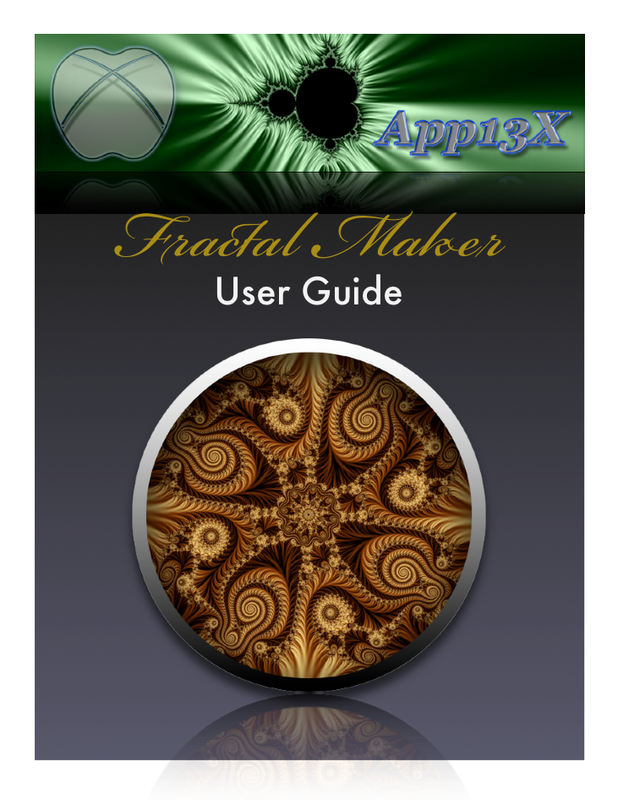 FractalMaker is really easy to use and very powerful. Just click anywhere in the Fractal Navigator on the right and a new fractal is rendered in the Fractal Previewer on the left using the current gradient and parameters. Click anywhere in the Fractal Previewer to center the fractal at that point. The guides are really useful for precise positioning. Julia Fractal exploration uses an innovative approach by letting you click on a dynamically zoomable Mandelbrot Fractal, which then renders the parallel Julia Fractal in the Fractal Previewer. This also facilitates a visual understanding of how they are related. Click the Zoom buttons to increase or decrease the zoom factor in 5x increments or specify a zoom factor in the textfield. The 4 SAM parameters give you a lot of creative flexibility and very small changes can produce radically different results. There is an excellent Gradient Maker panel to let you create your own custom gradients to fill the exterior of the fractal. Use the Color Picker to choose RGB or HSB colors by colorRing, bar, slider or text entry for any colorstop in the gradient. When you're satisfied with your fractal you can render it out at a larger size (up to 4096 x 4096 pixels) and more importantly with up to 4x4 supersampled antialiasing for the best results. Since the app is multi-threaded, you can start rendering a fractal to disk, and continue exploring new fractals simultaneously. Remember to store your Fractal Preset by adding it to the Fractal Library so you can retrieve it later.